How much do you know about the Shih Tzu? The Shih Tzu is a popular member of the ‘Toy’ breeds, which were basically bred as companions and not for a work function. When it comes to warmth and company the Shih Tzu delivers. His breed name in Chinese means ‘Lion Dog’ and his individual design is derived from a combination of traits from the Pekingese and the Lhasa Apso. His appearance was said to resemble a lion (though he’s petite) with the masses of hair cascading from around the face. The model photographed here has been clipped substantially. He would much rather be curled up with you in the lounge room than attempting a 5km run. Think ‘arm-chair’ buddy, not athlete. A Shih Tzu will happily run around the garden or use the furniture as an exercise course. 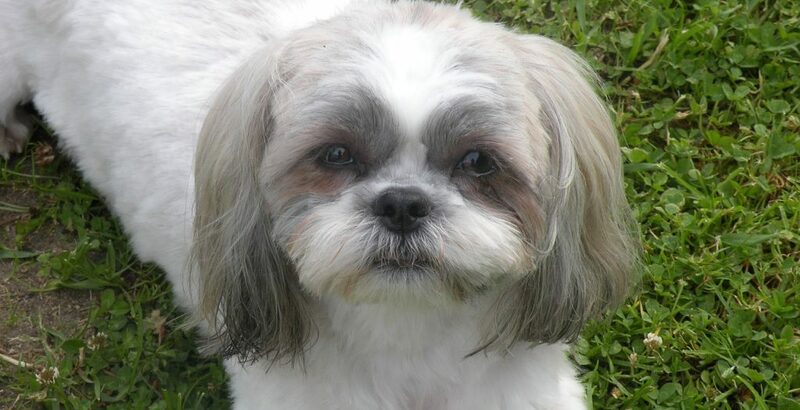 The Shih Tzu still benefits from a daily walk but for the most he is an indoors fellow and if you notice the mercury and humidity rising please turn the air-conditioner on. A short nose and heavy coat mean they struggle in the heat so please also avoid walking a Shih Tzu in the hottest part of the day. Though his coat tends not to shed as much as other breeds, he is longhaired and requires a daily brushing to maintain a comfortable coat. He generally requires a profession grooming around every four to six weeks and can be seen clipped in a number of different styles. This exuberant and friendly pooch tends to enjoy the company of both people and other dogs (just make sure the other dogs are ‘small dog friendly’). Shih Tzu’s just love attention and remember, that dogs bred as companions will become very unhappy if they don’t have company. These little guys live to an average of 13 years and on occasion have been reported to live 20 years. If you work full-time this is possibly not the right breed for you unless you are able to take him with you or arrange someone to visit/potty-break him during the day. He is happiest when he has you there to worship and in return enjoys a little royal admiration. You don’t need to be a Chinese emperor, just a lover of small, sweet natured dogs.